On Thursday 13th September, Australia has a day known as “R U OK?” It is designed to increase awareness of mental health. If you are living outside of Australia, this day is still worth considering as mental health is a subject we must all be aware of and sensitive to. The number One way to change how you feel emotionally and mentally is the way you move your body. Why? Emotion is created by motion. If you increase your movement and improve your posture, you will immediately improve your emotional state. Power poses, movements and actions create positive emotional responses. Consider the following challenge…. 1) Walk around the room and imagine you are unstoppable and powerful. Hold your head up high, create a chest that is broad and proud, create rhythm or a swagger with your walk and smile. Strut your stuff! How do you feel? Good? Become sensitive to how you feel emotionally and mentally. 2) Now walk around the room feeling uneasy and uncertain. Roll your shoulders forward, draw your rib cage down towards your feet, your head is stooped forward, your tail bone is tucked up and under, your knees are knocked together and you have a sad face. How do you feel? Flat and despondent? Can you feel a contrast in your emotional and mental state when you hold this posture? 3) Switch between the two postures and feel the difference in your emotional and mental state. Can you see how the way you hold your body and the way you move creates a shift in your emotional and mental health. Just by altering your posture, you can change your state. 4) Now sit in a chair. Imagine you have lots of energy. Create a big open smile on your face, maybe you have a cheeky grin! Lift your shoulders up and open your chest out. Create a feeling of anticipation and excitement, imagine you are about to leap off your chair to do something which really excites you. How do you feel? Do you feel energised and excited? 5) Now imagine someone has started talking to you about something you aren’t interested in. Imagine you are bored, apathetic and tired. Do you notice a change in your posture to create this behaviour? I bet you did! Did you notice your head position change? Did you slump in your chair? Did you notice your energy levels drop? 6) Now switch back to feeling excited and energised. Notice how you switch your posture. I would like you to practise these two postures and emotional states with the walking and seated challenges. Quickly switch from one posture and emotional state to the other. Notice, sense and feel it. I am asking you to do this because I'd like you to notice how quickly you can move from a negative, apathetic emotional state to a vibrant, energetic state and as a result change your posture. This is an important skill. There are days when we feel flat and when we are asked how we feel, we reply “I’m Fine.” Subconsciously, we are just ‘getting by.’ When we change our state and imagine we are energised, that we have an exciting day with lots of opportunities before us, we switch our emotional state and posture. When we are asked how we feel, we reply “Yes I am really well thank you, how are you?” We become engaged in the moment and less insular, asking how others feel and not directing the focus purely on ourselves. Imagine how important this skill would be in your work life, personal life and school life. By improving our emotional state and posture, we also improve our depth of breathing. Imagine how well your mind and body would feel will an increased level of fresh oxygenated blood in your body. These challenges are allowing you to sense, feel and notice the shift in your emotional state and how it translates into your physical health and posture. This activity allows us to become Somatically aware. It allows us to heighten our awareness to how we move, hold ourselves and as a result notice how we feel emotionally and mentally. Our mind and body are so closely related, they heavily influence each other. 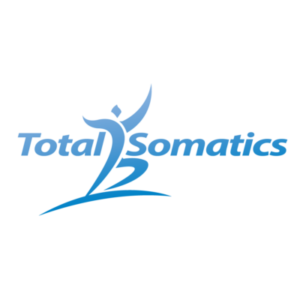 The Total Somatics Approach to Health & Wellness Online program covers these areas in greater depth so you can start shifting your mindset and live in a more relaxed healthy mind and body. So as we consider R U OK? this week, start becoming selective about how you talk to yourself (internal dialogue) and also to others. We never know what others are going through and the choice of our words can build up or break down a person’s emotional, mental and physical health. So from today, become very aware of your internal dialogue, emotional state and see if you can use the switch in mindset and movement in today’s challenge to change your state. 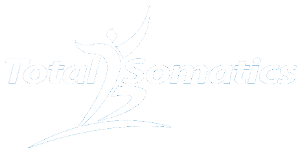 To learn more about somatic movement, mindset and mindfulness, join my online program at www.TotalSomatics.com. The online program is self paced and can be performed in the comfort of your own home.